One thing immediately became clear to me as I read Aziz Ansari’s excellent treatise on modern romance (titled, conveniently, Modern Romance) and it’s this: I would have had more dating success as a young man if I had had the options afforded by today’s technology. As a shy, awkward kid with – how to put this? – “a face that is not pleasant to look at,” I wasn’t super successful with the ladies. I was (and still am, I think) fairly proficient with words. If I had had access to text messaging instead of the painful “date request” phone call, if I could’ve charmed from a distance with my written wit, if I’d been able to make a good physical impression via the smoke and mirrors possible in Instagram, I might have been happier as a wee lad. I’m generally useless in social situations, especially at first, but once I warm up I can hold my own. If I could’ve warmed up to the girls I was interested in through technology (instead of stumbling haphazardly through a gauntlet of clumsy personal interactions) I think I would have fared better. But as I reflect on this, I guess I’m getting a little ahead of myself while also failing to mention what I found most fascinating about Ansari’s book. To be honest, I tend to romanticize the past, and though I appreciate all the conveniences of modern life, sometimes I yearn for simpler times. Wouldn’t it be cool to be single in a bygone era? I take a girl to a drive-in movie, we go have a cheeseburger and a malt at the diner, and then we make out under the stars in my old-timey convertible. Granted, this might have been tough in the fifties given my brown skin tone and racial tensions at the time, but in my fantasy, racial harmony is also part of the deal. But while it’s unquestionably a book where Ansari gets to be laugh-out-loud funny, it increases the comedy book stakes by also being an honest-to-goodness social science text. Ansari and his research partner, New York University’s Eric Klinenberg, spent years conducting focus group interviews and analyzing interactions with volunteers on a subreddit forum to present an illuminating view of what it’s like to date in the 2010s (in the U.S. and in other countries), and how it differs from generations past. We get chapters dealing with the “initial ask,” online dating, international trends, the implications of technology, and so on. Each chapter is grounded in their research and shot through with Ansari’s unmistakable humor. While there’s certainly a wealth of information here, much of which I didn’t know (Japan is in the middle of a marriage crisis? A third of the people who got married in the first decade of the 21st Century met online? ), the most striking issue the book reveals is the problem presented by having too many options. Ansari sets this up early by discussing the interviews he conducted with older Americans, most of whom met their spouses in a very small radius. Over 80% of those interviewed lived within 20 blocks of their future spouse, and many of them lived in the same apartment building or on the same street. This is true of my parents, who lived four houses apart, met when they were 13, married in their early 20s, and stayed married until my mom’s death in 2011. According to Ansari, this was a pattern repeated by many people in my parents’ generation (that is, meeting someone from your neighborhood and marrying young, not necessarily dying an early death from cancer), but it’s one that has largely disappeared. Instead, thanks to the rise of online dating and apps like Tinder – as well as increased mobility and larger social circles brought about by social media networks – people today have dozens (and in large cities, literally hundreds) of possible mates a phone swipe away. When you combine this with people’s increased need to find the best thing possible – Ansari very funnily recounts the tortuous process he uses just to find the best taco joint in town – it only makes sense that people are dating more and marrying less (or at least later). Because we can now see just how many other attractive single people are out there in our vicinity, Ansari argues, people are increasingly less satisfied with their current situation in the hope that they can eventually find not just something better, but the best there is (be it taco joint, television, or spouse). Most fascinating, Ansari reports that this isn’t really a thing in the other countries they researched. People in those countries still largely fall in love as a result of meeting through friends or at work or in bars or clubs (although he also details the frankly horrifying verbal assaults women in Buenos Aires face on a daily basis). This need to find the “best” seems to speak to a restlessness in the American psyche that I can’t help but think also speaks to our competitive, capitalist identity. Doesn’t it make sense that when a country has as one of its bedrock principles the notion of upward social mobility, its people would find themselves increasingly unwilling to settle for second-best in all aspects of their lives? We typically see this occurring in the context of economics, but in light of Ansari and Klinenberg’s work, it seems unavoidable to consider how this mindset has influenced other aspects of American culture, including dating. Even though Ansari doesn’t make this connection himself, it’s to his book’s credit that it allows for this sort of speculation instead of merely settling for funny. This is a rare book that’s able to mix laughs with research, and the few topics I’ve mentioned here are really just the tip of the qualitative iceberg. Modern Romance is a fascinating read, not just as social science, but as a snapshot of America – and young Americans – at the dawn of the 21st Century. I’ve written a lot over the years about just how crucial it was to my developing personality to discover independent music when I was 15 years old, and I’ve undoubtedly worn out my welcome writing about how Stephen King was a flashpoint for so much of what I’ve done with my life. One area that’s gone oddly unexplored – even though it’s easily as important as those other two – is comedy. Mirroring what happened for me with R.E.M. and Stephen King, I got into comedy in a fairly heavy way as a freshman in high school, and it unequivocally shaped the way I looked at the world. There were three names that loomed over the others, all of which I discovered in less than a year. George Carlin came first. My parents had a vinyl copy of Occupation: Foole, and once they decided I was old enough to handle it, I wore out the grooves listening to his “Filthy Words” bit. Next came Steve Martin. I’m sure I was aware of him on some level before high school (probably as the King Tut guy from Saturday Night Live), but my first viewing of The Jerk hit me at just the right time. I made quick work of the rest of his filmography, and I also got my hands on his standup album Let’s Get Small, which, in its deconstruction of the genre, stood as sort of a counterpoint to the polish of Occupation: Foole. Carlin and Martin both taught me that comedy could be smart and principled, but also simultaneously irreverent and idealistic. I gravitated toward the anti-authoritarian vibe they both clearly possessed, but also responded to Martin’s romantic streak and Carlin’s strong undercurrent of optimism. They were (and still are) two artists whose work I hold dear. And then came Monty Python. 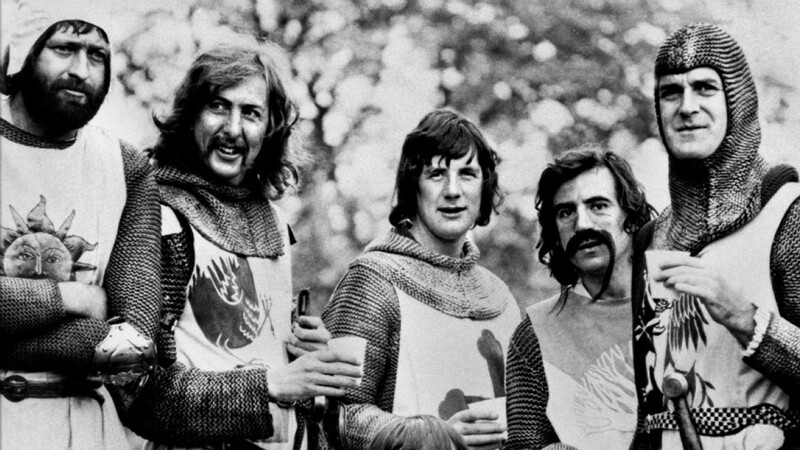 My friend John (two years older than me and also responsible for turning me on to the band Marillion, more on which some other day) introduced me to Monty Python & the Holy Grail, and my world was never the same. 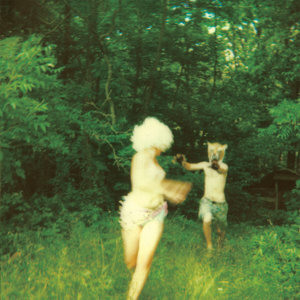 The absurdity, but also the undeniable intelligence, was worlds away from anything else I’d seen at the time. I wasn’t sheltered by any means, but my parents’ tastes always ran to the conventional. Growing up it was a steady diet of whatever sitcoms were popular (Three’s Company, The Facts of Life), and if I ever saw R-rated comedies, it was only the edited versions on network TV. So while I’d seen Caddyshack, Airplane!, and National Lampoon’s Vacation, I hadn’t really seen them, if you know what I mean. To suddenly watch Graham Chapman come galloping over a hill followed by a servant banging two coconuts together was a total paradigm shift. You mean . . . this was possible? And there was more of it? John quickly became my supplier. He passed me VHS copies of Life of Brian, The Meaning of Life, and episodes of Monty Python’s Flying Circus he’d recorded from the local PBS station. Our library had a copy of And Now for Something Completely Different, and I watched that, too, even though I’d already seen most the sketches. I became that nerd (in addition to all the other nerds I already was), repeating catchphrases ad nauseam to the annoyance of friends, family, and teachers. I was obsessed. Just like it was with The Beatles, everyone has their favorite Python. 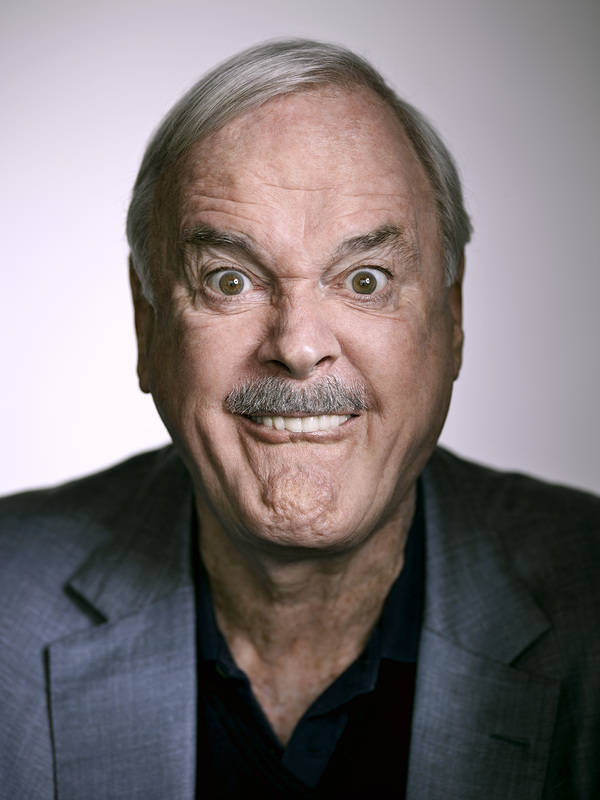 For me, it’s always been John Cleese. He always seemed like the smartest in the troupe (although Michael Palin ran a close second), and I appreciated the fact that he could do both verbal humor (“Argument Clinic”) and physical humor (“Ministry of Silly Walks”) with equal facility. What I tapped into most of all, though, as an angsty little guy who didn’t have a firm grasp on his emotions, was the deep reservoir of rage that seemed to be coursing just below the surface of Cleese’s aloof British exterior. In many of his sketches there’s the impression that he’s just barely holding it together. “The Parrot Sketch” is probably the most well-known example of this, although I think “The Architects Sketch” is where he does some of his best work. Cleese plays the title character, pitching an abattoir to two stuffy business types who really want a block of flats. Watch the build until the glorious explosion at the 3:00 mark. Cleese would, of course, turn “slow burn escalating to a tirade” into an art form in Fawlty Towers which is, for me, the Sistine Chapel of British comedy. 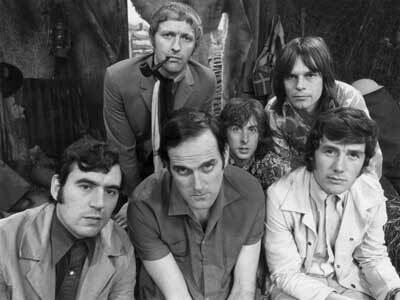 In my late teens and early 20s, as I got more involved with improv and sketch comedy, Cleese sort of became the Platonic ideal of how to mix low and high comedy. Or maybe it was more that he illustrated how to do low comedy with intelligence and high comedy with a visceral edge. Most importantly, I can draw a straight line from Cleese to many of my current favorite comedians (Ricky Gervais, Stephen Merchant, Louis C.K., Kyle Kinane, Paul F. Tompkins, etc. ), all of whom seem to be spiritual descendants of what Cleese was doing in the 1960s and 70s. 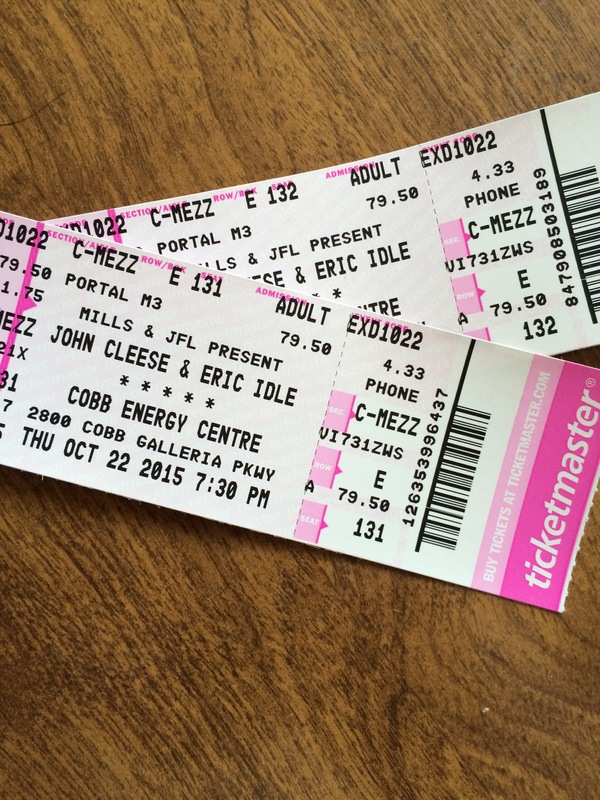 Tonight Amanda and I go see Cleese’s tour with fellow Python Eric Idle. Most shows I attend for a relaxing night out. A few others, though, are more about paying tribute to the people who, even from a great distance, taught me how to be me.